There’s no two ways around it: 2014 was one of the single biggest years in Orlando history. From the opening of The Wizarding World of Harry Potter – Diagon Alley at Universal Studios Florida to the completion of New Fantasyland at Magic Kingdom, from Ihu’s Breakaway Falls at Aquatica to Falcon’s Fury at Busch Gardens Tampa, it’ll be incredibly hard to top such a star-studded year. And that’s perhaps why no one in the city will be attempting to do so in 2015. 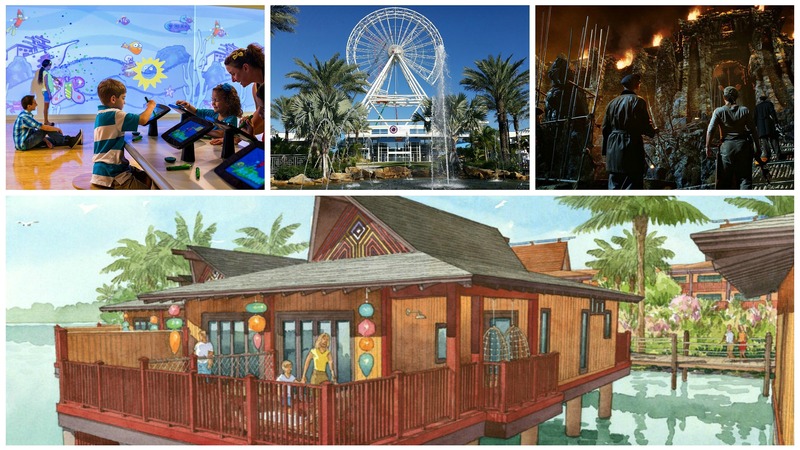 Though there will certainly be new shows to experience and new destinations to explore, there is nothing even remotely close to the breadth or depth that tourists were treated to this past year – and most of these new additions will revolve around dining and shopping rather than the traditional theme park attraction. Complicating matters even further, it seems that what would be the biggest, juiciest entries for 2015 solely exist in rumor land – which is why we’re going to take a break from our traditional format and divide our list of next year’s best new attractions into two sections: those that have already been publically unveiled and those that are strongly hinted to be coming. Unicorp National Developments, a real-estate developer, is in the midst of finishing up a two-year, $100-million renovation of a sizable chunk of International Drive. 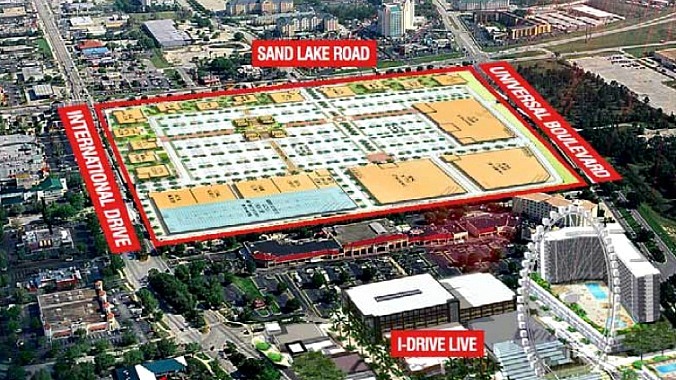 Dubbed I-Shops, this 42-acre corner of I-Drive and Sand Lake Road will be home to a wide array of dining (including Chuy’s Tex-Mex Restaurant, Cooper Hawk Winery & Restaurant, and Red Robin Gourmet Burgers), retail (the UPS Store and a giant, 18,000-square-foot Walgreens, which will anchor the development), and, of course, hotels (Unicorp’s Wyndham Orlando Resort, which just finished a lengthy renovation of its own, replacing several hundred rooms, updating its lobby, and expanding its meeting spaces). I-Shops coming to International Drive. Even though I-Shops doesn’t include any attraction in the traditional sense, it doesn’t need to – Unicorp is also the main force behind the next-door I-Drive 360 project (more on that in just a moment). When the two are combined together, they form a one-two punch that just might prove to be the most convincing reason yet for guests to abandon the theme parks, even if for just a small portion of their vacations. In 1996, Crayola opened a visitor’s center at its headquarters in Eaton, Pennsylvania, offering guests limited hands-on activities. 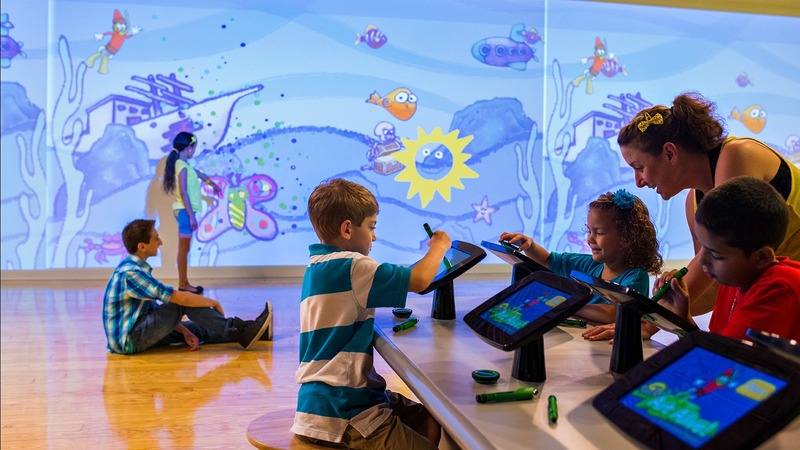 In 2013, the company decided to completely revamp the attraction, renaming it The Crayola Experience and expanding it to four stories – and, by doing so, formally jumping into the themed industry, offering roughly two dozen exhibits that range from behind-the-scenes peeks at how crayons are manufactured to interactive digital activities, such as creating personalized coloring books. The Crayola Experience coming to the Florida Mall. Now Crayola is eager to follow the template that many other companies have forged, going all the way back to Disney itself, by opening a sister branch in Orlando. And while it has yet to announce all of the new Florida Mall location’s specifics, it has already stated that several of the new activities will be exclusive. The bad news for The Crayola Experience is that, unlike in Eaton, there is a lot of competition in Orlando, making it exponentially more difficult for the attraction to stick out. The good news is that its target demographic of families with young children is often overlooked by the other players in town, giving it a real chance to be noticed – and to up the others’ game. Earlier this year, SeaWorld Orlando closed what was one of its longest-running and most popular shows, Clyde and Seamore Take Pirate Island, in order to make way for a brand-new production. Called Clyde & Seamore’s Sea Lion High, the premise goes a little something like this: on the last day of school, Clyde (the math whiz) and Seamore (the star athelete) are both nominated to win scholarships to Sea Lion University. The only, Billy Madison-esque problem is that they haven’t completed all their classes, and now there’s only one day left to try and cram them all into. 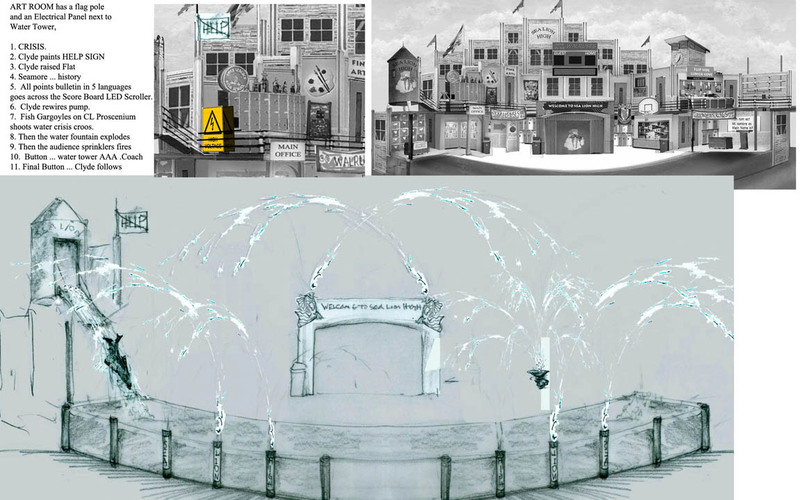 The set-up sounds appropriately silly, and leaked concept art of the new set and water-filled climax look like a great deal of fun. Clyde & Seamore’s Sea Lion High coming to SeaWorld Orlando. However, it seems the real reason why the abrupt change-up was made was to spotlight the relationship between the park’s trainers and the various sea lions, otters, and walruses that populate the show; although short on detail, SeaWorld has promised that guests will be able to view each animal close-up to “connect and be inspired by them,” along with their human handlers. Sea Lion High is directed by B.T. McNicholl, a Broadway alumnus who’s headed several other productions for SeaWorld, including, most notably, the acclaimed O Wondrous Night. McNicholl is co-writing with Randy Rogel, a former writer for Batman: The Animated Series and Animaniacs, which means the show’s pedigree couldn’t be higher. 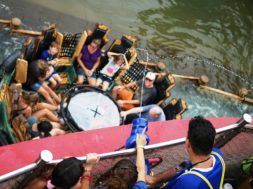 Although only three-years-old, LEGOLAND Florida has seen an incredibly aggressive expansion plan, with a new attraction opening, on average, every single year of its short lifespan. The latest development is one that Merlin Entertainments, the owner of LEGOLAND, hopes will transform the park from a one-day destination to a multi-day resort. 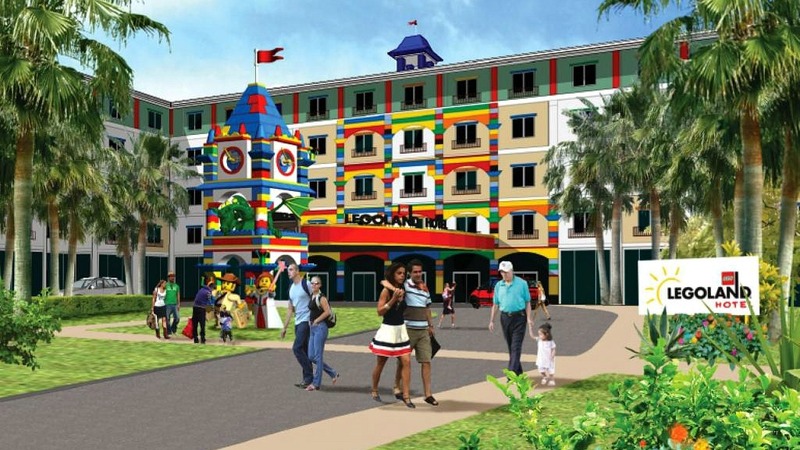 The LEGOLAND Hotel coming to LEGOLAND Florida. The just-recently-announced LEGOLAND Hotel will, of course, be the first in Florida, although it will be the fifth worldwide (there are six parks already open, with at least two more in the works). 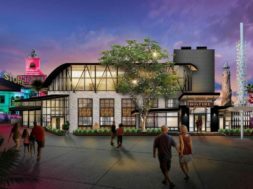 Featuring four stories, 152 fully themed rooms, interactive play areas, a LEGO pool, and a restaurant, the hotel will be located just to the left of the park’s entrance and will utilize next-door Lake Eloise as part of its aesthetic appeal. Additionally, if the Florida hotel is anything like its sister properties, expect to see character meet-‘n-greets, a daily model-building contest (each room comes with a bucket of LEGOs, naturally), a Kids’ Improv Hour, character dining, “Swim-In Movies” during the summer, and, of course, the obligatory on-site benefit known as Early Park Admission. The last deluxe resort on Walt Disney World’s Magic Kingdom monorail loop is finally getting its own Disney Vacation Club add-on. There are a number of details which make these new rooms unique amongst all the other venues that Disney owns all across the globe. 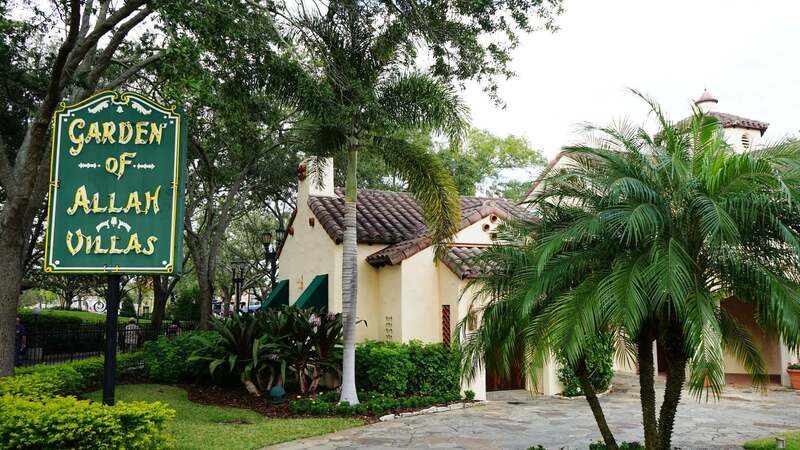 The 20 bungalows, which sleep up to eight guests each, will be built directly over the Seven Seas Lagoon and will feature a plunge pool (that, yes, will still command a nice view of Magic Kingdom’s nightly fireworks). 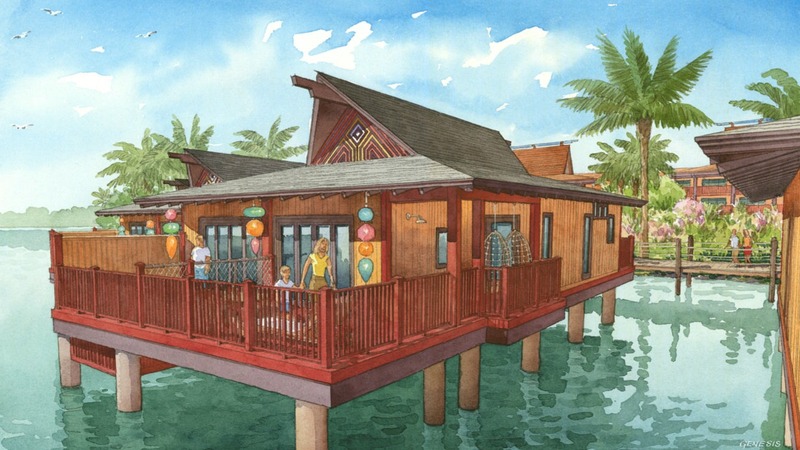 Polynesian Bungalows coming to Disney’s Polynesian Village Resort. The villas, meanwhile, come in the form of studios – the largest yet seen at Disney World – with their own kitchenettes, bathrooms (that are divided into a sink/shower and sink/tub area), and ability to connect with one another. These new DVC properties will debut alongside several other additions to the venerable resort, such as Lilo’s Playhouse (a children’s activity center), the Pineapple Lanai (where the famous Dole Whip will be served around the clock), and Trader Sam’s Grotto (which serves up exotic cocktails and South Pacific appetizers). Other changes include a revamped entrance, lobby, swimming pool area, and name – goodbye, Polynesian Resort; hello, Polynesian Village Resort. The overwhelming beauty of the villas and (in particular) the bungalows is enough to put this at number two on our list, but guests should be warned that such majesty will come at a (steep) price – the bungalows are so expensive, in fact, that Disney has yet to release any kind of pricing information on them. I-Drive 360 (formerly known as the Orlando Eye and, before that, I-Drive Live) has been in development for so long now, it’s difficult to say anything about the $200 million shopping/dining/entertainment complex that hasn’t already been said several dozen times already (in fact, the area was on our list of top 2014 attractions, coming in at number three, behind only Universal Orlando’s Harry Potter additions). That doesn’t diminish the ambition of its scope, however, or the caliber of its constituent parts. 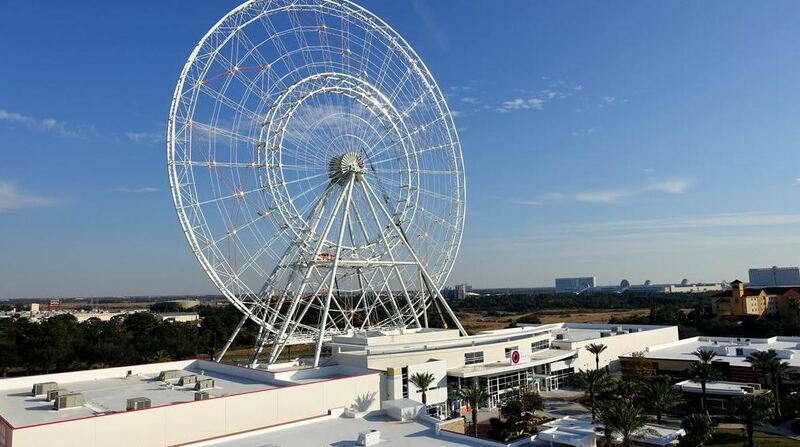 Headlined by a trio of Merlin Entertainments attractions – the Orlando Eye (a 425-foot-tall Ferris wheel, making it the tallest structure in Central Florida), Madam Tussaud’s Wax Museum, and Sea Life Aquarium – and rounded out by a bevy of retail and dining establishments, I-Drive 360 is the only other slice of real estate in Orlando that can seriously look to give either Universal CityWalk or Downtown Disney Springs a run for its money. 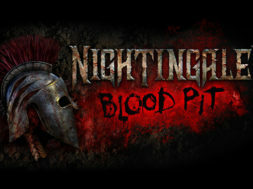 And the news for the area gets better the closer we get to its opening date. The latest tenant to sign on is Skeletons: Animals Unveiled, which will house more than 400 real animal skeletons from around the world, including such oddities as two-headed calves. At this rate, I-Drive 360 can’t get here soon enough – particularly since it’s the only entry on the officially-announced list to feature real attractions. In case you didn’t know, Universal Studios Florida turns the big 2-5 next year, and in order to properly mark the occasion, rumor has been running strongly for the past several months that Universal will renovate the long-discarded Garden of Allah building into a museum of sorts, showcasing props, signage, and other memorabilia from the many rides and attractions that have been shuttered over the past two-and-a-half decades. The Garden of Allah at Universal Studios Florida. If the likes of seeing Back to the Future: The Ride or Nickelodeon Studios again doesn’t seem to be particularly titillating, speculation has been growing across the themed community that maybe, just perhaps, the company will complement its nostalgic wares with a Preview Center-esque glimpse into the future, just as happened in the late 1990s as the next-door Islands of Adventure was being built. If this ends up being the case, expect a small-but-impressive number of concepts to be on display, including, most excitingly, that oft-talked-about on-site water park. 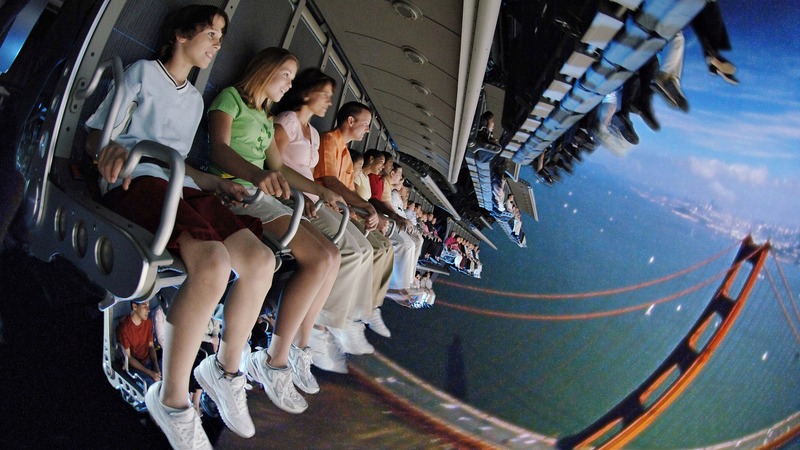 A long-gestating rumor, Soarin’ over the World is reported to be the updated replacement for Epcot’s most popular attraction, Soarin’. Supposedly ditching IMAX for a digital format – mostly to enable a randomized feature, much like Star Tours: The Adventures Continue – the new footage would expand the previous version’s California-only focus to include famous landmarks and spots from all over the globe. Although the ride vehicle itself won’t be touched, it seems that Disney will mercifully be adding on a third theater (to help alleviate the always-heavy crowds) and, just possibly, completely redo its queue, perhaps bringing it in-line with Haunted Mansion’s next-generation interactiveness. Even if the rumors prove too good to be true on the Soarin’ over the World front (at least, in terms of it coming out anytime before 2016), guests should still expect to see the added theater sometime next year, as construction work has already started over the past several weeks behind the Land Pavilion. This is, by far, the most out-there possibility for 2015, but it’s also certainly the most exciting – particularly considering the comparative anemia of most of the other attractions on the list. 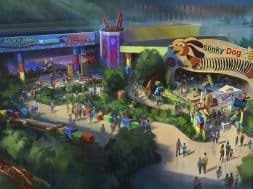 Kong: Skull Island, which will be wedged in between Jurassic Park and Toon Lagoon at Islands of Adventure, will share its subject matter with the upcoming “origins” film and will feature both 3D screen-based and audio-animatronic versions of King Kong, as well as indoor and – intriguingly – outdoor sections. 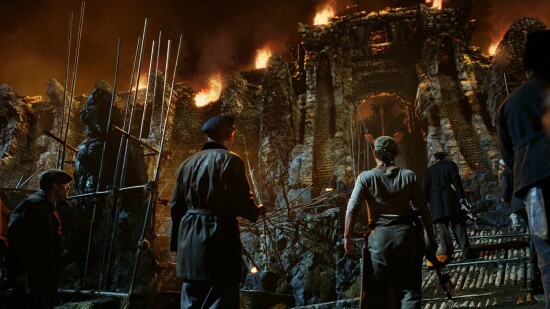 Skull Island from the 2005 King Kong. While Skull Island has long been considered Universal’s big event for 2016, recent word has emerged that the company may just be angling for an expedited opening, thanks to its movie counterpart’s delay to March 2017 and its more-aggressive-than-usual pace of construction. 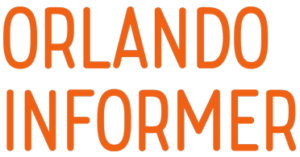 If true, it’s hard to think of anything anywhere in Orlando that will be able to top its grandiose scope and ambitious level of immersion, easily nabbing it the top spot on our list. 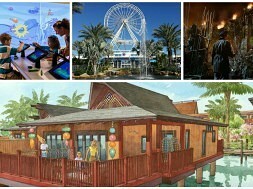 We hope you enjoyed our look at the best of what’s coming to Orlando. If you’d like to see how 2015’s attractions stack up to this past year’s new additions (and also find out how reality treated our predictions), check out last year’s list. 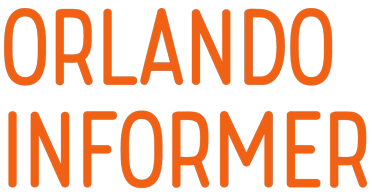 Or you can share your very own list with like-minded vacation enthusiasts in the OI Forums.